At Classic Metal Roofs it is one of our goals to educate the New England area on the benefits of choosing metal for your new roof. We are a proud member of a national metal roofing network that allows us to have access to top of the line materials, the best warranties possible, and a continually growing wealth of metal roofing knowledge. We feel that this membership along with over a decade of experience installing metal roofing in the New England area makes us the best choice for having a new metal roof installed on your Melrose, MA home. Aesthetic Appeal. A new metal roof is sure to increases your home’s visual charm. 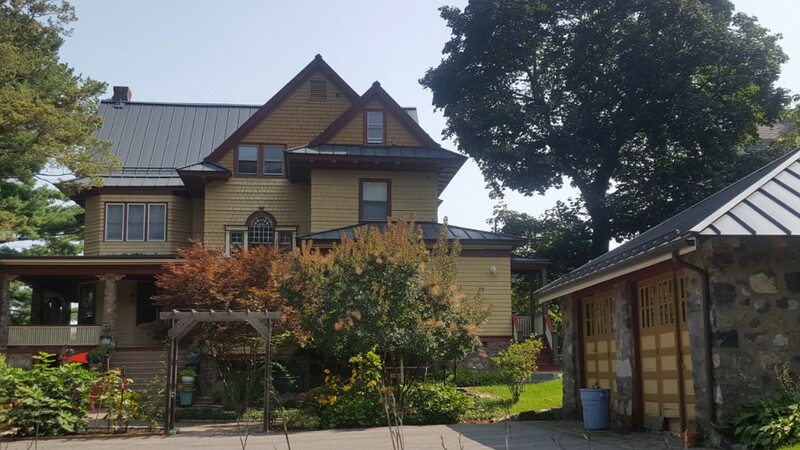 At Classic Metal Roofs we offer a range of metal roofing solutions so you can be sure your new metal roof will be a great fit for your Melrose, MA home. Standard profiles include aluminum standing seam metal roof, aluminum shake metal roof, and aluminum metal shingle roof. If these profiles do not match your design vision we also offer custom fabricated aluminum, copper, and zinc metal roofing. Efficiency. Thanks to the special ENERGY-STAR®-compliant finish applied to every metal roof your new metal roof can actually help to decrease your energy costs by increasing solar reflectance and keeping your roof’s temperature lower. Longevity. A new metal roof installed on the same day as an asphalt shingle roof has the potential to last 3 to 4 times longer. This means that your new metal roof has a lifespan of potentially over 50 years! This means that your new metal roof could be the last roof you ever need to have installed on your Melrose, MA home. online form for a free quote.